When did we go from an America relieved a soldier has been recovered from captivity--whatever he may have done--to brawling on the Internet before he's home? Have the loud and hyperventilated accusations surrounding the release of Bowe Bergdahl made moderate voices on both sides of the aisle too difficult to hear? We're pulling out of Afghanistan. The five Taliban officials were under the heading of "enemy combatants", which is another term for POW. They weren't held for terrorism, as strange as that may seem to people. We would have been required to release them once we pulled out. That's international law. This way, we got something in return. Whatever led Bergdahl to leave the base, he'll have to face it once he's repatriated. If he deserted, the Pentagon will decide whether to press charges. But, to do that, he has to be back home. Leaving him with the Taliban would've set a precedent we don't want to set. We don't leave our soldiers behind. Bergdahl has proven himself to be impressionable. If we had left him, and the Taliban had been able to prove to him we had, how long do you think it would be before he was turned over to, say, al Qaeda, to be turned into something dangerous - since he can walk down unnoticed in any U.S. street. This is not to say this particular soldier would do that. It was an overall risk. Bergdahl speaks fluent Pashto and was held for five years. Even held in isolation, he'll have intel. 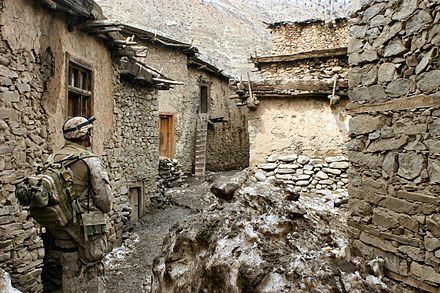 The Taliban have been fighting us because we were on their soil. The Pashtun people have very specific rules of engagement. It's not in their history to mount operations on foreign soil. Qatar has the five Taliban members for a year. The reason they have them for a year is so they don't go to Afghanistan while we're pulling out and while Afghanistan's new leader, likely Abdullah Abdullah, consolidates his power. After a year, the five Taliban will (hopefully) be watched more closely than the 500+ released from Gitmo by the Bush administration. We don't know where many of them are other than they may be in Libya, Yemen, Pakistan or Syria, and one of them is believed to have been involved in the Benghazi tragedy, which never seems to come up amid the politicking about that. The politics have come from 24/7 news stations and from a former Bush administration and Romney campaign official named Richard Grenell who helped connect the media and soldiers who served with Bergdahl, soldiers who've come under their own scrutiny from an article by the late Michael Hastings that reported on their unit. "Frank Luntz @FrankLuntz Pro Tip: Attacking the actions that led to the release of Sgt. Bowe Bergdahl is a surefire way to lose in 2014." Charles Krauthammer has been trying to say the same thing. Bowe Bergdahl will have to face what he did. Six soldiers are said to have died looking for him. Stanley McChrystal, who was the commander, defends the search, but it is a question that deserves answering as part of a qualified investigation into this matter. The statement that the Taliban didn't want the negotiations made public - on pain of death to Bergdahl - makes sense when you consider the recent clashes between Taliban factions as reported in the New York Times . If one of those factions wants negotiations and another doesn't, Bergdahl, who's been a pawn on their chess board from the start, would be at obvious risk. "The political consequences­ are being used as leverage in the policy debate." According to White House sources, Marc Grossman, who replaced Richard Holbrooke as special envoy to Afghanistan and Pakistan, was given a direct warning by the president's opponents in Congress about trading Bowe for five Taliban prisoners during an election year. To which a White House official replied: "He's an American soldier. We want to bring him home." Those who've gone after Bergdahl's family exposed the coarsest underbelly of our society after Bergdahl's father spoke Pashto in the Rose Garden. Though he was reported to have said: "Bowe, I am your father" because he believes his son is likely no longer speaks English, the story went out with a false translation and with religious and bigoted overtones. Whether his son does or doesn't still speak English isn't the question. His father believed he wouldn't understand him and David Rohde, once held by the same Taliban network, says we should be sympathetic to that. It's a terrible precedent for Bergdahl's family to receive threats. Why hasn't the noise machine that put out those false translations been forced to issue a retraction? Is there no Joseph N. Welsh to look sadly at them, as Welsh did to Joe McCarthy, and say, "Let us not assassinate this lad further, Senator. You have done enough. Have you no sense of decency?" If Bergdahl's father, said to be a strict Calvinist, wants to grow a beard and speak Pashto to his son, it's his right to do so. It's his only son and he's been in captivity for five years. Leave the family alone. Whether our lack of cohesiveness as a country is due to the 24/7 outrage machine, dark money in politics, income inequality, the influence of the Internet, or sheer demagoguery, it's incumbent on us as citizens to do our own fact checking and not just react to those who benefit from our anger. Learn the facts and check those facts and vote on facts and perhaps we can right the ship of state that's listing so badly for so many, and never leave any soldier in enemy hands. Our soldiers belong home, not with them.